Cashmio casino was founded 2015 by two entrepreneurs from Scandinavia. And now, three years later this top rated online casino has created quite the name for itself. In this Cashmio casino review, we will have a closer look at this fresh and exciting casino which goes by the slogan “The World’s Happiest Casino”. Cashmio holds licensing from MGA, UKGC and recently also acquired the Swedish license. This white label ncasino is powered by the great GIG (Gaming Innovations Group) to ensure a fast and secure gambling experience to the players. The site itself has a very stylistically pure design with a nice cartoonish atmosphere to it. And with its massive slots library, Cashmio currently offers close to a thousand slot games along with Live games such as Blackjack and Roulette. Languages supported on the site are many and includes English, Swedish, Finnish, Spanish and Japanese. 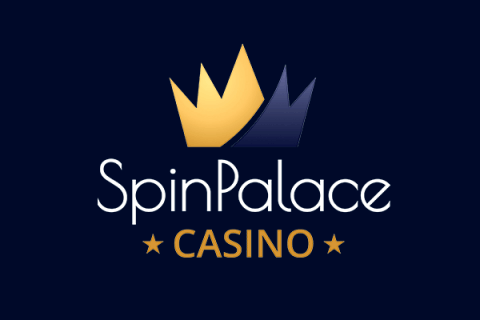 1st Deposit – 100% match bonus up to €100 in bonus + 100 spins on Spinions. 2nd Deposit – 50% match bonus up to €200 in bonus. 3rd Deposit – 200 free spins on Starburst. So in total, there is €300 in bonus and 300 free spins to collect with the first three deposits. Like most of the brand new casinos Cashmio regularly offers great promotions with free spin deposit bonuses to enjoy and reward loyal players. The wagering requirement is set at a fair rate of 25x bonus + 25x deposit. Winnings from free spins have to be wagered 45 times. To use your welcome bonus simply create an account, locate your bonus coin and unlock it with a minimum deposit of €20 – easy as pie! Cashmio casino NZ offers nearly one thousand slot games including classic slots, video slots, and jackpot slots. This online casino is working with some of the biggest providers in the industry like NetEnt, Quickspin, and Play N’ GO. So players at Cashmio should be able to play most of their favorite games includes all-time favorites like Book of Dead, Moon Princess, and Steam Tower. Their impressive slots library also includes smaller providers like Red Tiger Gaming, Edict/Mercur, Spigo, Thunderkick, and No Limit City. With this big arsenal of slot games, players at Cashmio casino online can be sure to have something new and exciting to look forward to. Navigating to Cashmio’s game page is easy and in one click you are presented with a full page of all their games sorted by popularity. In the top, you will find big-time classics like Gonzo’s Quest, Bloodsuckers 2, Reactoonz, Wild North. There are also progressive and non-progressive Jackpot games to play such as Mega Moolah if you wanna have a chance at the massive Jackpot. Use the smart game filter aka. “Albert’s filtering machine” to sort the game by which preference you chose, including game providers or type of slot. Cashmio has also made their own funny categories like “Scary Games” or “Seen on TV”. If slot games aren’t your cup of tea there is no need to be down. Cashmio offers table games, so you can try your luck with the ball on the Roulette table or see if you can beat the dealer in Blackjack or why not to enjoy a nice round of Baccarat. Cashmio online casino has something for everyone. If you prefer the feeling of a real land-based casino, Cashmio NZ also offers live games from Evolution Gaming and NetEnt. Join the dealers via webcam in games like Roulette, Blackjack, and Baccarat. Get that real casino feeling from the comfort of your own couch at home. In the live games, you can talk with the dealer who is also visible on the webcam, or chat with the other players to get a more social gaming experience. Cashmio is fully supported both on mobile and tablet devices so you can always play mobile casino games on the go, whenever and wherever you want by simply navigating to the site on your web browser. That means you don’t have to download any unnecessary mobile applications. Cashmio casino NZ is using the latest technology in responsive web design and automatically adapts to the device you’re using so you can always enjoy the site as it’s intended to. Banking at Cashmio is quick, fast and convenient. Simply deposit with your credit card or do a direct bank transfer. You can also use popular E-wallets like Skrill or Neteller. Cashmio casino also offers instant banking methods including Trustly and Zimpler. Players who don’t like putting their details online are welcome to deposit with Paysafe cards. Payment methods available might also differ depending on the country. To make sure that your personal data and financial transaction are protected, Cashmio offers state of the art SSL-encryption on their site guaranteeing to keep you, your money and your data, safe and secure while enjoying the entertainment. To summarize this review I would like to give an eloge to Cashmio as it’s offering the complete casino experience (except Sportsbook). Cashmio casino NZ offers a fast, responsive site with a great atmosphere/design. This together with a great customer support team that is highly professional and impressively fast (Live-chat usually picks up in under 10 seconds). Their fast processing of withdrawals and a massive slots library just puts the icing on the cake and I would definitely recommend this casino. Their goal to create the worlds happiest casino is no understatement and I’m looking forward to seeing where Cashmio casino have come in a year or two. 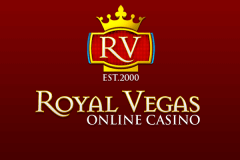 Reading up on independent casino forums and sites, I find that most players agree that this is a great real cash casino to play at. So sign up to this innovative and creative casino now and start your Cashmio adventure with the 20 no deposit spins and see where it takes you.